I’ve had a small crush (ok, maybe a major crush) on David Chang ever since I was introduced to his Lucky Peach mag and his PBS show, The Mind of a Chef. 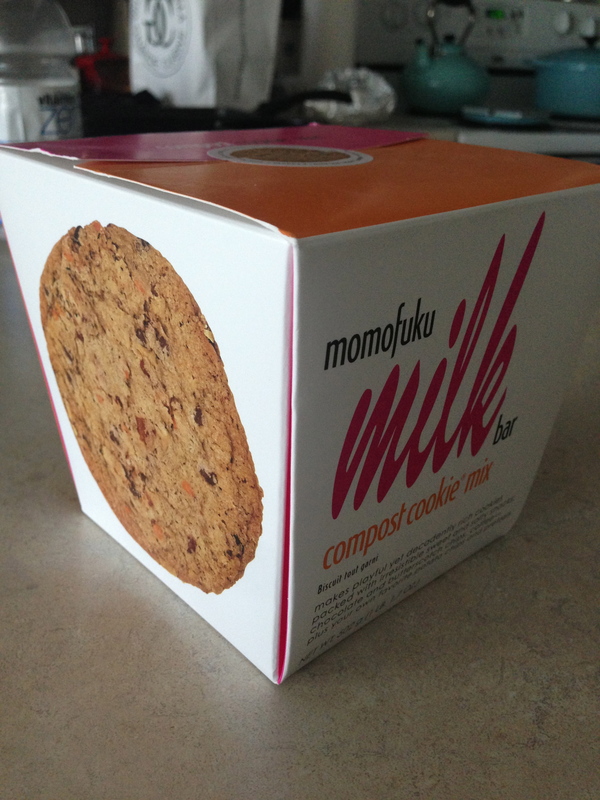 So of course I was delighted when he opened his first restaurants in Toronto a couple of years ago but I was even more excited when he opened his first MilkBar outpost in T.O. last year! I finally made it to check out their baked goods and picked some tasty treats. My favourite was the cornflake chocolate chip marshmallow cookie – you can see and taste the chunks of cornflakes right in the cookie! 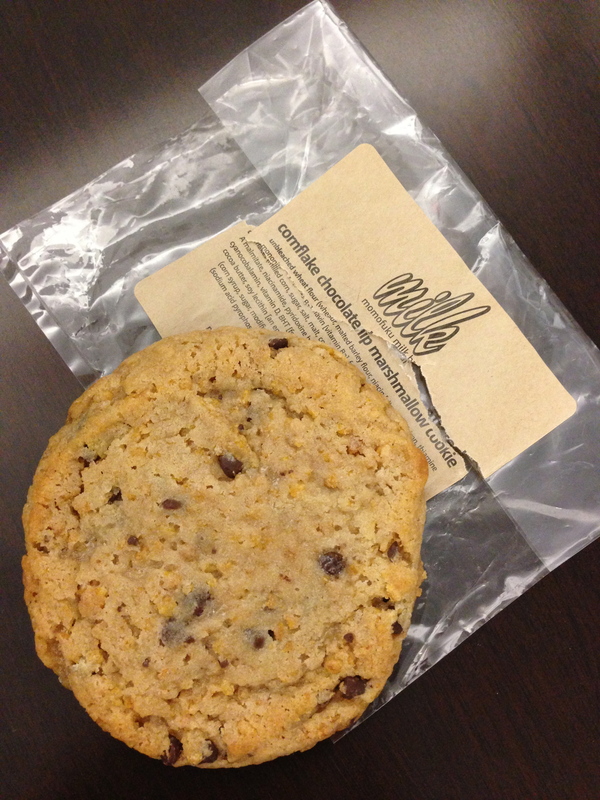 Who knew cereal would taste so good in a cookie! 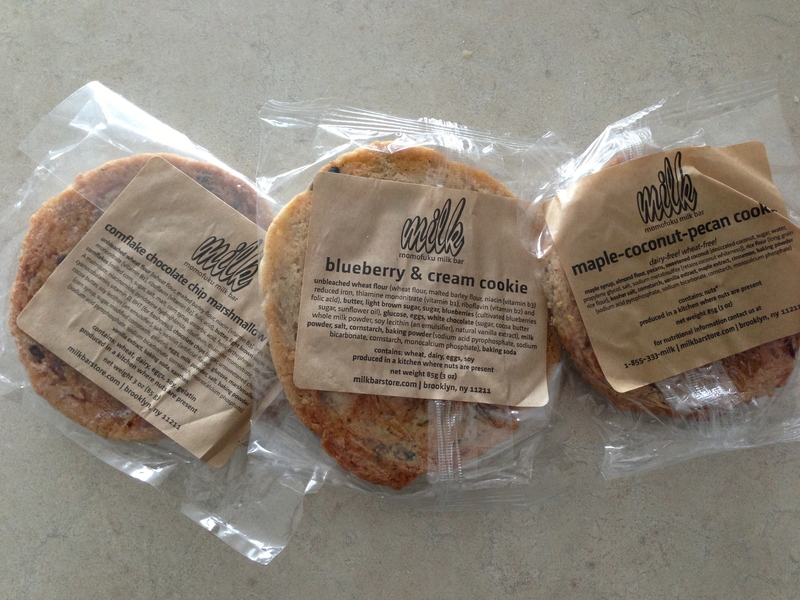 And if you feel like releasing the inner baker in you……MilkBar also sells mixes you can take home and bake yourself. 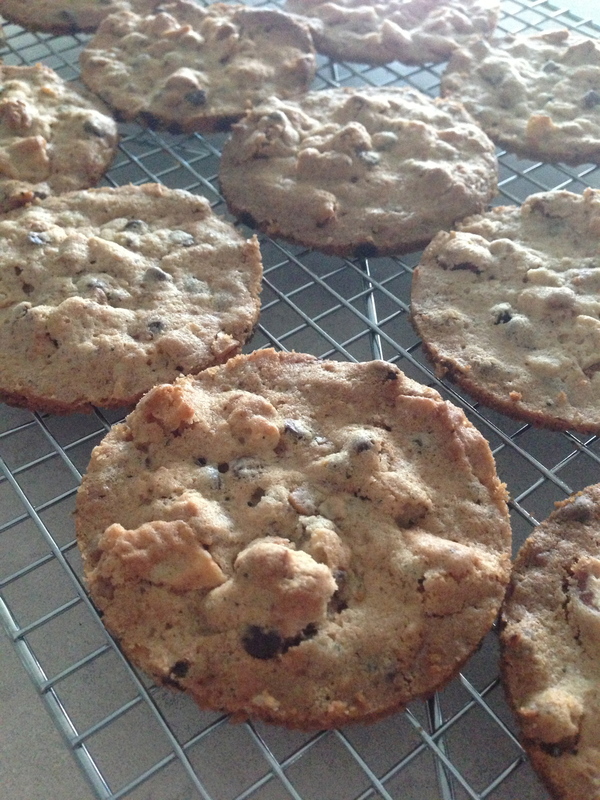 My friend S got me the compost cookie mix for my birthday and I finally took an afternoon to bake a batch – what can I say, anything with potato chips and pretzels can only taste amazing! 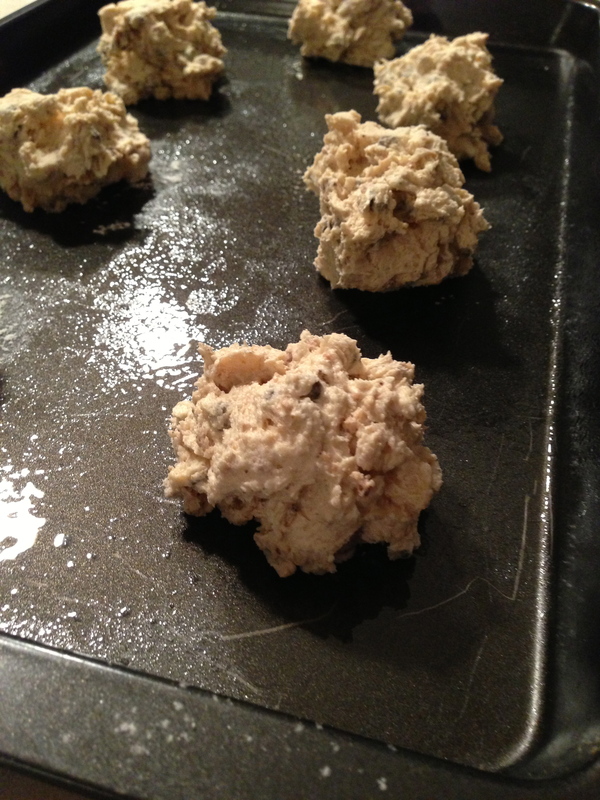 My favourite cookie flavour – cornflake chocolate chip marshmallow cookie! Can you spot the cornflake chunks? 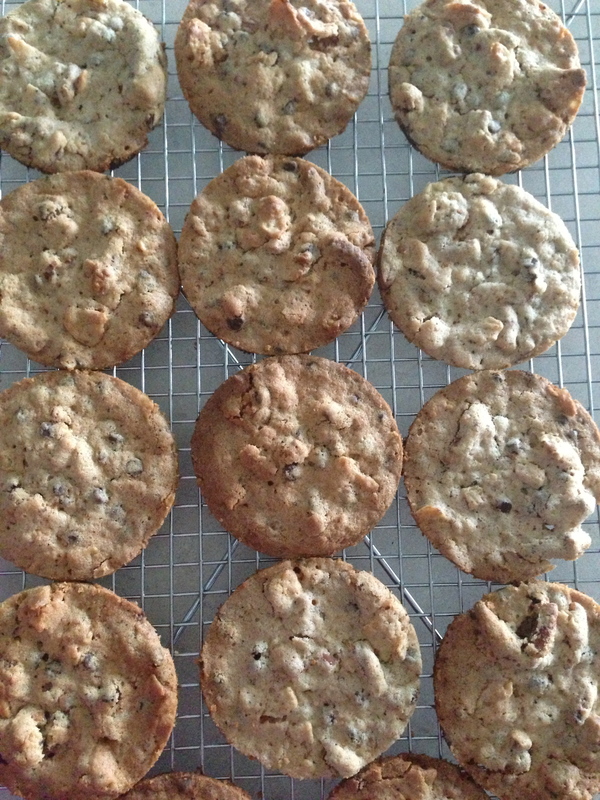 Maple-coconut pecan cookie – sweet and buttery. 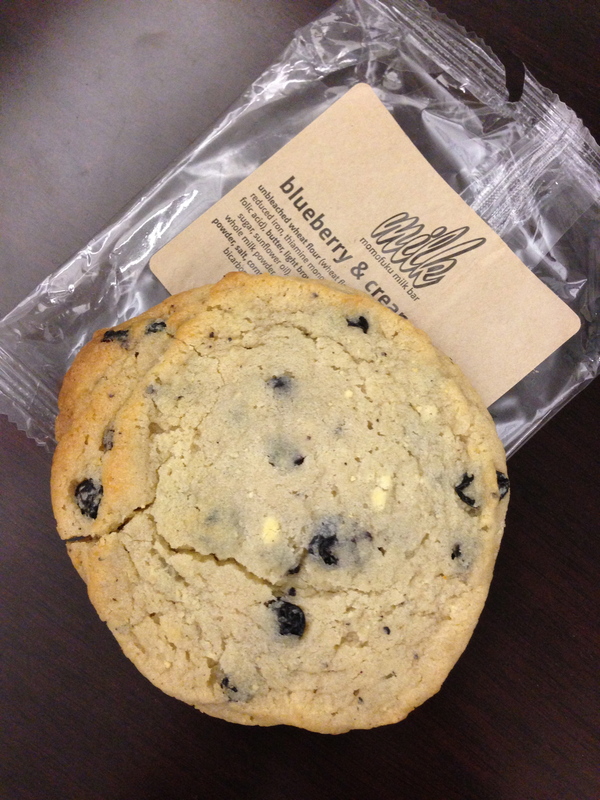 Blueberry & cream cookie – just a bit too sweet and probably my least favourite of all the flavours. 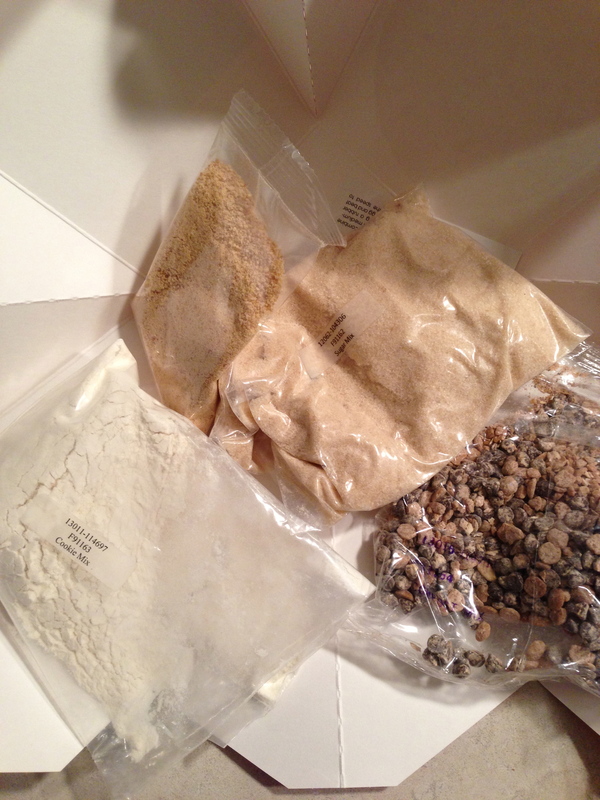 Dry ingredients for the compost cookie. 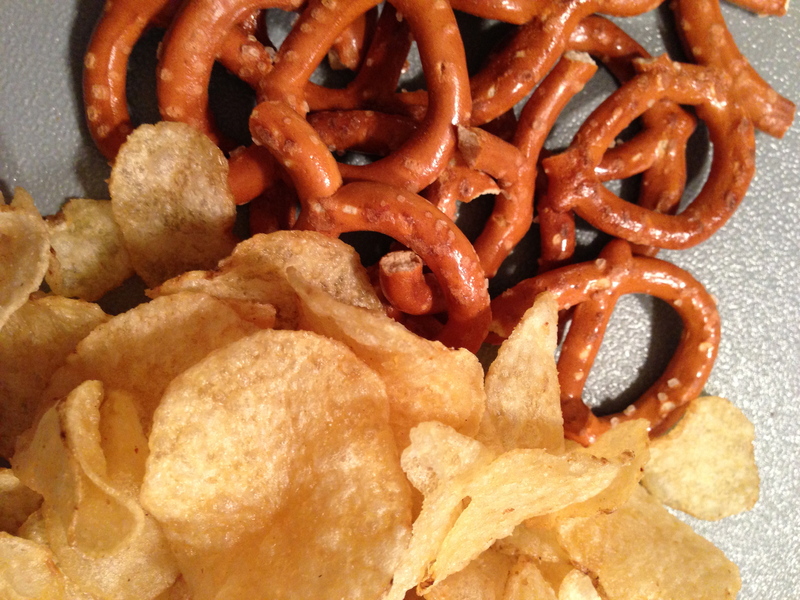 Adding regular potato chips and pretzels to the cookie mix. Dropping spoonfuls of cookie dough. The finished cookies! I will admit, I used a cookie cutter to make them perfectly round! 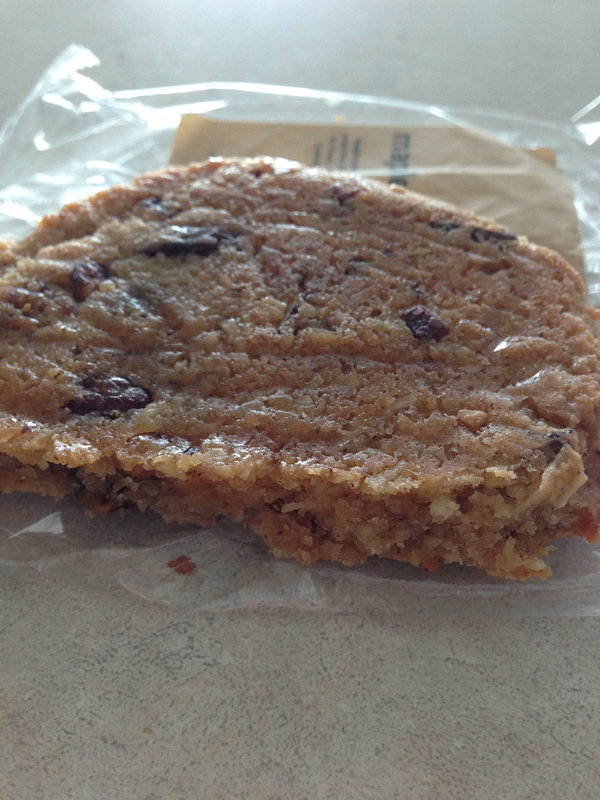 Freshly out of the oven – Compost cookie.